The following “super foods” are easy to find and include in your every day diet. These foods are high in disease-fighting nutrients without being high in calories, so try to incorporate them in your meals as often as you can. Make it a challenge to yourself to see how often you can include them. Choose organic produce whenever possible, to keep pesticides and insecticides out of your diet. Rate some of the processed food you eat by using a free resource available on the Internet. Visit the Food Scores page of the website for the Environmental Working Group. There, you’ll find over 80,000 food products rated by their concerns about nutrition, ingredients and processing. You can view the ingredient list taken right from the packaging and see how it rates. There are a lot of sugars, sodium and trans fats hiding in many processed products. How does your diet stack up against the ratings? Berries – Loaded with antioxidants, fiber and phytonutrients. Beans – Full of insoluble fiber (which lowers cholesterol) and soluble fiber (which fills you up and helps rid the body of waste), beans are a great low-fat source of protein, carbs, magnesium and potassium. Edamame (soybeans) contain heart-healthy omega-3 fatty acids. Black soybeans contain even more proteins and antioxidants, and fewer carbs than the others. 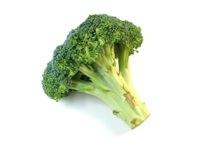 Broccoli – Rich in vitamins A, C, and K, as well as fiber. The calcium provided by broccoli, spinach and other dark leafy greens helps to increase bone density and build strong bones. Coconut Oil – Another heart-healthy antioxidant, coconut oil is reported to help strengthen your body against illness-causing viruses and bacteria. It can also increase thyroid function and help control blood-sugar, aid with digestion, and reduce cholesterol. Chia Seeds – The seeds that grow “hair” on Chia Pets are high in antioxidants, fiber, vitamins and minerals. Containing 500% more calcium than milk and the same amount of omega-3 fatty acids as wild salmon, chia is a “super seed” that is easy to add to your diet. Sprinkle them on and stir them in! Cocoa – Containing many “feel-good” compounds that boost endorphins and serotonin, cocoa is also loaded with flavonoids (natural chemicals found to help fight a number of conditions like diabetes, strokes and heart disease) and flavonols, which can thin the blood and relax your blood vessels. This helps to naturally lower your blood pressure. Eggs – Yolks contain most of the egg’s nutrients, including minerals like calcium, choline and magnesium, and vitamins A, D, E, B6, and B12. They have 100% of the carotenoids needed for healthy vision, and are rich in protein. 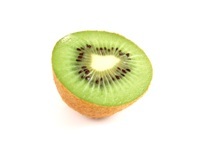 Kiwis – Great sources of antioxidants, fiber, potassium, and vitamins A and E. One large kiwi meets your daily requirement for vitamin C.
Nuts – Enjoy nuts in moderation due to their fat content, but be aware that it is heart-healthy fat. They are high in antioxidants and fiber. Quinoa – Prepared similarly to rice, quinoa is an ancient grain that is high in protein, fiber and iron. It also supplies you with zinc, selenium and vitamin E.
Salmon – Low in calories and saturated fat, but high in protein and iron, salmon is a super food because of its omega-3 fatty acids. If you don’t care for the taste of salmon, tuna is a good substitute. Sweet Potatoes – Packed with vitamin C, sweet potatoes help to boost your immunity. They are rich in beta-carotene (vitamin A), calcium, potassium and contain 150% more antioxidants than blueberries. Turmeric – If you’ve eaten curry, most likely you’ve eaten turmeric, the antioxidant, antiseptic and anti-inflammatory spice that gives curry its distinctive taste. Turmeric is used freely in India, where the four cancers most common to the United States are ten times lower. The compound curcumin, which gives turmeric its golden color, is thought to guard against both cancer and Alzheimer’s. Yogurt – Greek yogurt is a great choice, containing calcium, potassium and more protein than other yogurts. Add your own fresh fruit to sweeten it a bit. We’ve all heard the sayings like, “You are what you eat,” and research is showing this to be quite true! We are hearing a lot about the virtues of coconut oil these days, and for good reason. The uses are varied and the benefits are many! Coconut oil is anti-viral, anti-fungal, anti-bacterial, anti-oxidant, and anti-inflammatory. You can eat it – and so much more. Weight loss aid: It’s all about the molecular structure. Long-chain fatty acids get stored as fat easily. Coconut oil is a medium-chain fatty acid, which is more easily metabolized and used for energy. It’s also an appetite suppressant. Swap coconut oil for butter in cooking and baking. It lends a sweet nutty flavor to sautéed greens, too. Coffee Creamer: Stir in a bit of coconut oil to slightly sweeten and enrich your cup of coffee. Lower Cholesterol: Take ½-1 tablespoon daily to help lower your cholesterol. Cholesterol is a waxy substance traveling through your blood stream attached to proteins known as lipoproteins. There are low-density lipoproteins (LDL) and high-density lipoproteins (HDL.) HDL is the “good” cholesterol – you want to lower LDL, but raise your HDL. 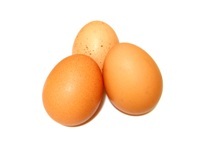 HDL picks up the excess cholesterol and carries it to your liver to be broken down. Coconut oil is supposed to increase your HDL due to its high levels of lauric acid. By boosting HDL and lowering your cholesterol, you can help to reduce the risk of heart disease. Butter Replacement: Use coconut oil as a substitute for butter or oil when cooking, baking or sautéing. You can even spread it on your bread or toast. Season Cast Iron: If you cook with cast iron pans, you know that you have to “season” them, which protects the pan and makes it a bit more non-stick. Coat the inside of the pan with a generous amount of coconut oil, turn it upside down and let it sit in a 250-350 degree Fahrenheit oven for about an hour. When the pan has cooled, wipe out any excess oil. Grease Baking Pans: Grease pans lightly with coconut oil before baking in them. Popcorn Topper: Instead of butter, melt some coconut oil and drizzle it over your popcorn. Add salt, and toss until coated. Homemade Toothpaste: For a safe toothpaste that contains no chemicals, stir together coconut oil and baking soda and mix until you get the desired consistency. For flavor, you could add a drop or two of peppermint or cinnamon essential oil. Or, just follow it up with a dab of regular toothpaste or a mouthwash rinse. The coconut oil is anti-microbial and the baking soda is slightly abrasive to help remove stains and whiten the teeth. Breath Freshener: Swish a spoonful of coconut oil around in the mouth until it liquifies. The antibacterial properties can rid your mouth of odor-causing bacteria. Spit it out or it’s safe to swallow. Minimize Heartburn: Swallow 1-2 teaspoons of coconut oil to coat the stomach and ease heartburn. It also helps get the bitter taste of acid reflux out of your mouth. In support of an organic diet, we bring you the list reporting “The Dirty Dozen” – a guide to pesticides detected in the produce we consume. The list is compiled annually by the Environmental Working Group (EWG). This year, three more vegetables that were frequently contaminated with insecticides were added to the list – Hot Peppers, Kale, and Collard Greens. If a particular produce item is shown to be likely to have pesticide residue, the better choice would definitely be organic. Organically grown produce is not subjected to chemical pesticides and insecticides, making it the healthier alternative. Pesticide exposure has been linked to Rheumatoid Arthritis, Lupus, Parkinson’s Disease, Alzheimer’s Disease, Cancer and difficulty with learning. This is the latest list of produce tested and shown to have the highest incidence of pesticide residue, in alphabetical order. Produce showing the least amount of pesticide residue, in alphabetical order.